Carnival CruiseDarian Lipscomb in front of a billboard dedicated to acquiring his @carnivalcruise Snapchat handle. Carnival Cruise offered 15-year-old Darian Lipscomb a free vacation for his Snapchat handle. He had been posting as @carnivalcruise since he was nine. The company mounted an ad campaign fronted by Shaquille O’Neal dedicated to finding him – and offered the cruise package when they tracked him down. Lipscomb accepted, and is being taken to Barcelona with his family for the maiden voyage of the company’s newest cruise liner. 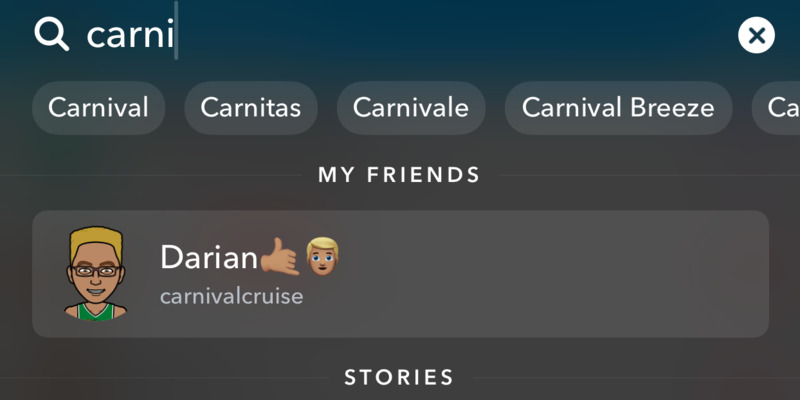 Carnival Cruise gave a teenage boy a free vacation in exchange for the @CarnivalCruise Snapchat handle he’d been using since he was nine years old. The company tracked down Darian Lipscomb to Prospect, Virginia, and struck a bargain so they could use to channel for their own brand’s content. SnapchatSnapchat’s search function show’s Darian Lipscomb’s ID under the @carnivalcruise handle. 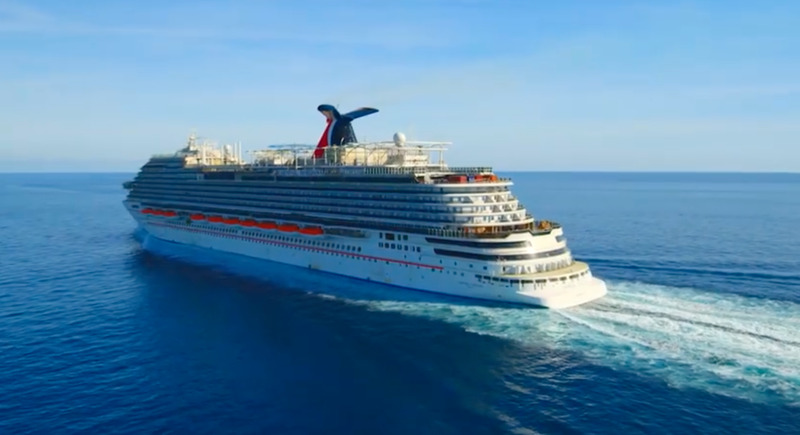 In exchange for giving up the handle, Lipscomb and his family got a free Eruopean cruise on the maiden journey of a new ship, Carnival Horizon. They will be flown to Barcelona, put up in hotels, and given “customised surprises” throughout the trip as part of the deal, according to the Richmond Times-Dispatch newspaper. All in all it’s worth around $US5,000. Lipscomb said he wasn’t intentionally squatting on the handle in the hope of making a profit. He made the account in 2012, aged 9, when on his first cruise with Carnival (he’s since been on three more). Carnival Cruise/FacebookCarnival Horizon, the brand-new ship Lipscomb and his family are taking a ride on. Carnival found Darian first by searching their own name on Snapchat to find that it was already taken. The campaign worked, they found Darian, and he agreed to the deal. He says he’ll make a new Shapchat channel, but doesn’t yet know what to call it.